How comfy are your chairs? Here at PAO, we take ergonomics seriously. SERIOUSLY. Resident posturpediac expert Dr Durgamma claims that “bad posture is a travesty and moreover bad for the environment”. His report goes into much deeper detail, but that about sums it up. When the time came to order new chairs here at PAO, Inc, some of our more gravitationally-gifted employees got “extra large” chairs. To the normal staffer, these were like couches on wheels. They barely fit some other people, however. 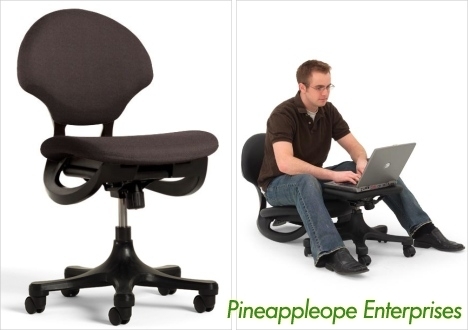 To be fair to normal sized folks, PAO execs decided to offer up some more options for “special chairs”. Check them out after the break..
that looks like probably the perfect chair, can i get mine in a dark grey, or tan? Previous PostPrevious [Deals!] Astroglide Free Sample! SECOND ONLY TO NATURE. Go get some! Next PostNext Not for Nothin..